The relationship between the Trump administration and Pakistan is frosty after the United States cut $330 million in military aid to Pakistan in October over what Washington says is its failure to reign in militant groups operating in Afghanistan. The Obama administration had also suspended $800 million in aid in 2011 and $350 in military aid in 2016 for the same reasons. But the U.S. isolates itself from Pakistan at its own peril. With a population of over 202 million, Pakistan has the sixth largest population in the world following China, India, the U.S., Indonesia and Brazil. It is one of nine countries that have developed nuclear weapons, and is a key security player in Afghanistan, Iran, India and China. During the Cold War Pakistan played a pivotal role for the U.S. that was revived after 9/11 but has since faded. 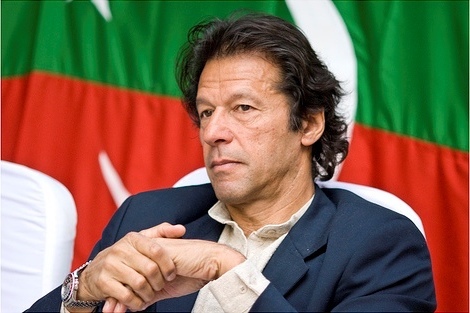 With the U.S.rebuff, it’s not surprising the new government of Prime Minister Imran Khan, a former cricket star and U.S. critic, has turned to neighbors for help, namely Iran and China. Khan’s first official meeting was with Javad Zarif, Iran’s foreign minister. While I was in Pakistan two weeks ago speaking at a conference on “The Geopolitics of Knowledge and Emerging World Order” held by the Pakistani National Defense University, Khan again met with Zarif. Khan was also off to China as Beijing’s guest of honor at the First China International Import Expo in Shanghai. The Khan administration is banking on $60 billion in land and sea projects underway with the China-Pakistan Economic Corridor (CPEC), a link in China’s massive project of the Belt-and-Road Initiative (BRI), otherwise known as the New Silk Road. The Trump administration has been left on the sidelines—again—in a crucial region where the U.S. is in its 18th year of war on Pakistan’s neighbor, Afghanistan. As I was in Pakistan from Oct. 31 to Nov. 3, the challenges for the new Pakistani government were evident. Protests paralyzed the country over the decision of the Supreme Court to acquit a Pakistani Christian, Aasia Bibi, of blasphemy (insulting Islam or the Prophet Mohammed) after she had been on death row for eight years. The Supreme Court had ruled eight years ago there was no evidence to convict her, and the court cited the Koran to bolster its decision. But the court has now come under threat of death by the religious extremists because of its verdict. Mere allegations of blasphemy have resulted in deaths of those accused. This has been led largely by vigilantes and religious zealots of the the Tehreek-e-Labaik Pakistan Party. Founded just three years ago, the TLP blockaded the capital, Islamabad, for several weeks last year in calling for stricter enforcement of the controversial blasphemy laws. It forced the resignation of the federal law minister. The protests also paved the way for the party to win more than 2.23 million votes in the July 25 general election. The protests over the Bibi decision continued for three days with Khan and Pakistan’s army chief of staff warning the protesters the army would act if “chaos” resulted. On Nov. 2, the government shut down the mobile phone system across the entire nation to disrupt the protestors’ communications. For twelve hours, Pakistan relied on landline telephones and home and business internet. Schools were closed for two days and traffic in all major cities were snarled by the protestors’ roadblocks. Later on Nov. 2, Taliban leader Maulana Sami Ul-Haq was stabbed and killed in his home in the military city of Rawalpindi. Ul-Haq had been an internationally known cleric and chancellor of Pakistan’s Darul Uloom Haqqania seminary and university. The university had awarded Afghan Taliban chief Mullah Omar an honorary doctorate and the majority of Afghan Taliban leaders, including Jalaluddeen Haqqani, founder of the Haqqani network, had studied there. After US-led talks in Qatar between a Taliban delegation and Pakistani religious leaders, Pakistan released several Taliban leaders, including co-founder and second in command Abdul Ghani Bradar, who had been detained in Pakistan since Al Qaeda’s September 11, 2001 attack. These are the promises of reconciliation and the challenges facing the secular-leaning Khan government, which seeks a modicum of independence from Washington. Instead of support, the Trump administration is trying to undermine Pakistan. Washington would be wise to engage the new Pakistani administration to help fight extremism at home and bring about reasonable solutions to regional crises, rather than exacerbate them.